The National Softball Association (NSA) is a full service organization that offers a division of play and a level of competition that YOUTH through ADULT can enjoy. The Bells is an 18U team that will be put together to represent Pennsylvania in international competition in August of 2009. There are teams from approximately 6 states going to China to face teams from several countries including China ,Canada, New Zealand,Japan and Australia. 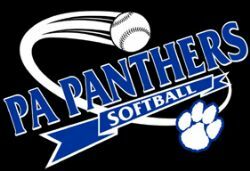 PA Softball will once again be offering several qualifiers, invitationals, recreation/class "B", a college showcase, and 23-U tournaments for girl's teams.